We’d love your help. Let us know what’s wrong with this preview of Lexi Greene's Dangerous Lesson by C. Zablockis. Lexi never understood why her parents kept her hidden from the world and wouldn’t let her have friends. Her mother always said it had to do with her being special. But what was so special about being able to read others minds. It was a parlor trick and not that uncommon trait for someone to possess from what she read on the web. Actually, it was cool when she thought about Lexi never understood why her parents kept her hidden from the world and wouldn’t let her have friends. Her mother always said it had to do with her being special. But what was so special about being able to read others minds. It was a parlor trick and not that uncommon trait for someone to possess from what she read on the web. Actually, it was cool when she thought about it. It didn’t make sense to keep such a gift hidden from everyone, well, it didn’t until now . 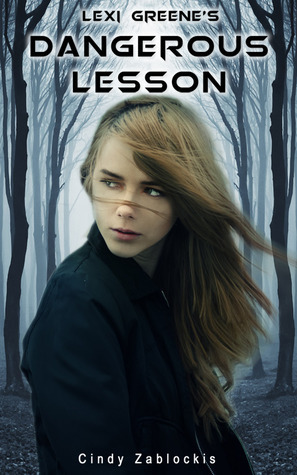 . .
To ask other readers questions about Lexi Greene's Dangerous Lesson, please sign up.